From 2013-2014 it seemed like there was a broad rebirth of the Iraqi insurgency. The protest movement against Prime Minister Nouri al-Maliki's government revived a number of groups, which had gone dormant by the time of the U.S. withdrawal in 2011. The Islamic State (IS) and the Jaish Rijal al-Tariqa al-Naqshibandi (JRTN), two organizations that never ceased operating, were regrouping as well. A rough agreement was made between these different factions to work together during the summer of 2014 to seize territory from the government, which resulted in the fall of Mosul, Tikrit, and a large swath of Kirkuk province as well. The number of different groups who participated in the offensive last year gave rise to a narrative about revolutionaries and tribes, not just the Islamic State carrying out a revolt against Baghdad. Today, the story has changed as many of these smaller groups have either been swallowed up by IS or gone dormant. To help explain the changes that have taken place within the Iraqi insurgency is Aymenn Jawad al-Tamimi, a fellow at the Middle East Forum. 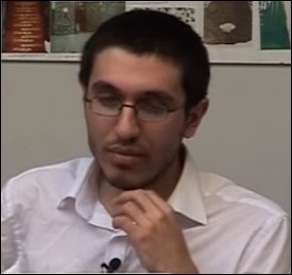 He can be followed on Twitter at @ajaltamimi. 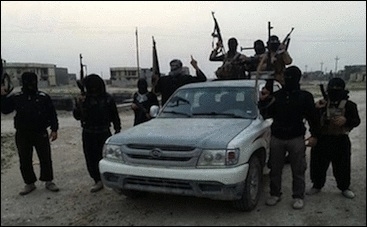 In 2013 and 2014 a number of Iraq's older insurgent groups such as Ansar al-Sunna, Jamaat Ansar al-Islam, the Islamic Army, 1920 Revolution Brigades, Jaish al-Mujahadeen, and others reactivated as the Sunni protest movement started and violence began picking up once again in Iraq. In 2014, many of these groups came to an understanding with the Islamic State (IS) to take part in the summer offensive. What were these groups hoping to achieve by working with IS, and what has become of them now? "Iraq's insurgent factions beyond IS have descended into irrelevance." After IS, many believed that the Baathist Jaish Rijal al-Tariqa al-Naqshibandia (JRTN) was the second largest militant group in Iraq. The organization has been back in the news recently as it appears that its leader Izzat al-Duri was recently killed. Like the rest it too cut a deal with IS during the summer and participated in seizing several cities. Afterward there were reports of fighting between the two groups in places like the Hamrin Mountains and other areas. What happened with its alliance with IS, what is the state of the group today, what will be the impact of Duri's death? 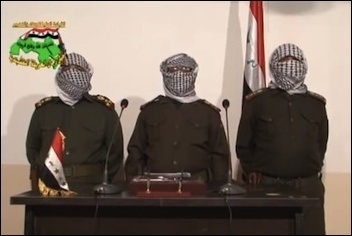 JRTN military spokesman renew their call for armed struggle in an April 2013 video. As 2014 came to a close, JRTN claimed Western attempts at outreach in a bid to form a Sunni force to fight IS as a sign of desperation at the strength of JRTN. JRTN was actually the one becoming increasingly desperate. "JRTN cannot be seen as the force that can defeat IS." Though strongly denying any involvement in discussions over participation in the proposed National Guard or other initiatives suggesting dialogue with the government, JRTN turned to regional Arab states such as Jordan and Saudi Arabia. This was reflected in effusive praise for the latter, and a remarkable eulogy to the Jordanian pilot Muadh al-Kasasbeh who was burned alive [by IS]. JRTN went so far as to hail him as a "martyr" carrying out obligatory duties of defending the "holy sites of our Arab Islamic Ummah." This JRTN alignment with regional Arab states including Saudi Arabia was also reflected in Izzat Ibrahim al-Duri's last recorded speech that came out this month, which also marked a reversion to classic praise for Gamal Abdel Nasser as the hero of Arab nationalism with distancing from the "takfiri" thought of IS. Contrasting with JRTN's alignments, the 1920s Revolution Brigades vociferously condemned Arab state participation in the coalition against IS on account of the airstrikes on Sunni areas of Iraq. The present state of JRTN suggests that some members are still present in areas under IS control, such as Mosul, but have no influence and live underground, with some very minor safe havens also in the Kirkuk countryside. As such, JRTN cannot be seen as the force that can defeat IS. For the same reasons also I do not see Duri's death as having a real impact on events in Iraq, even if confirmed (still no confirmation either way from JRTN, whose last statement was in praise of the Saudi-led coalition against Houthis in Yemen). During the U.S. occupation years IS's predecessor Al Qaeda in Iraq (AQI) considered itself not only as the vanguard of the resistance to the Americans, but eventually its leader. It had a long history of demanding allegiance from other groups, and going after those that refused. Can you give a little background to this history, and whether it repeated that same tactic after the fall of Mosul in 2014? Many tribes were said to have risen up against the Iraqi government as well. IS was known to have appealed to some sheikhs to join it. Have these connections been maintained, and have any turned against IS like what happened before in Iraq with the Awakening and Sahwa movement? Unfortunately, the present evidence does not suggest meaningful shifts in the tribal dynamics against IS. The initiatives that have arisen have mostly helped to prevent IS from seizing more territory rather than taking territory from IS. "The present evidence does not suggest meaningful shifts in the tribal dynamics against IS." The most notable case is the Kata'ib al-Hamza in western Anbar, taking its name after the initiative that arose among Albu Mahal tribesmen in al-Qa'im in 2005 against AQI. Kata'ib al-Hamza draws on locals not only in Haditha but also dissidents from the Albu Mahal tribe in al-Qa'im and other far western towns in Anbar that are currently IS strongholds (Rawa, Anah and Rutba). The group initially claimed to have connections in these strongholds to undermine IS, but that has not so far been borne out on the ground. The Kata'ib al-Hamza's main function has been to help prevent IS from taking Haditha. Even so, local resistance can be overwhelmed, as was the case when IS took the town of Hit in Anbar last year. IS is no longer seizing large tracts of territory and has lost ground in places like Babil, Ninewa, Kirkuk, and most recently Tikrit in Salahaddin. At the same time, it is still carrying out large offensives in many of those same provinces along with Anbar. There is an on going debate over whether the tide has turned against the group, and whether its decline has begun. What do you think the general state of the Islamic State is in Iraq? I think for the sake of media stories there is a tendency to be hasty and proclaim "IS is winning/losing" according to the latest development. It is however fair to say that on aggregate IS has lost territory in Iraq since the summer of last year, having lost all major towns in Babil and Diyala provinces (though in the latter, IS activity persists despite claims the province has been completely cleared of IS), as well as the town of Tikrit. 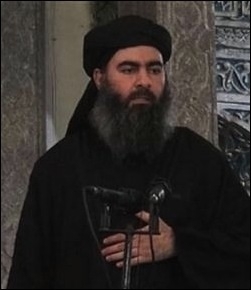 Meanwhile, the fighting fronts in Anbar and Salah ad-Din are at best proving to be only stalemates, and it is notable that very recently Abu Bakr al-Baghdadi issued a mobilization call in the Syrian provinces to reinforce these fronts. Despite these setbacks for IS in Iraq, the fact remains that in the strongholds they control like Mosul, Tel Afar and Fallujah, they face no meaningful local opposition that can undermine their rule, which would be the most effective way of rolling back the bulk of its holdings in Iraq. Finally, what has the group been doing in Syria recently, and what does that say about whether the group has reached a tipping point or not in its defeat? In Syria, IS has mainly been trying to expand in southern Damascus province and in eastern Hama province, having announced new "provinces" in these areas. "The collapse of IS in Syria ... is still years off at best." Elsewhere, the frontlines remain largely static. For example, in north Aleppo countryside, there has been no meaningful shift in positions either way since August 2014 when IS seized some northern border towns and villages including Dabiq, which plays an important part in IS apocalyptic discourse. Indeed, that particular frontline (which I visited in December 2014) remains remarkably quiet, with only occasional exchange of gunfire and mortar rounds. Partly this has to do with the vast efforts IS put into trying to take the Kurdish city of Kobani but ultimately failed in the face of hundreds of coalition airstrikes and limited Peshmerga ground intervention. Ultimately I think these developments very much vindicate the cautionary words of Joel Rayburn, who has repeatedly affirmed that we should not think of IS as an unstoppable juggernaut. The group does not have the resources to launch intense offensives on every front. But even so, the same point applies to the Syrian territories it rules as to its Iraq holdings: there is a problematic lack of meaningful local opposition to undermine its rule; and in Syria, IS has much more of a claim to the trappings of a state than it does in Iraq (e.g. in Raqqa IS is able to provide electricity as a public service, not so in Mosul). So if we are going to see the collapse of IS in Syria, I think this is still years off at best. Joel Wing is author of the widely acclaimed Musings on Iraq blog.